Believe it or not, Easter is right around the corner. 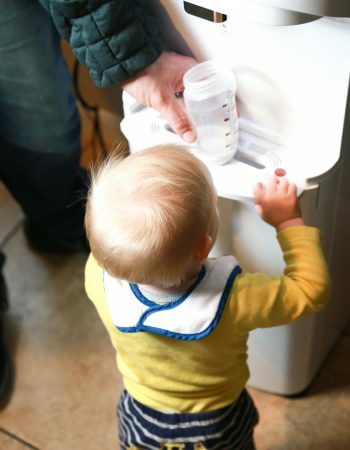 It will be here before you know it, and it’s always a good idea to start preparing early. 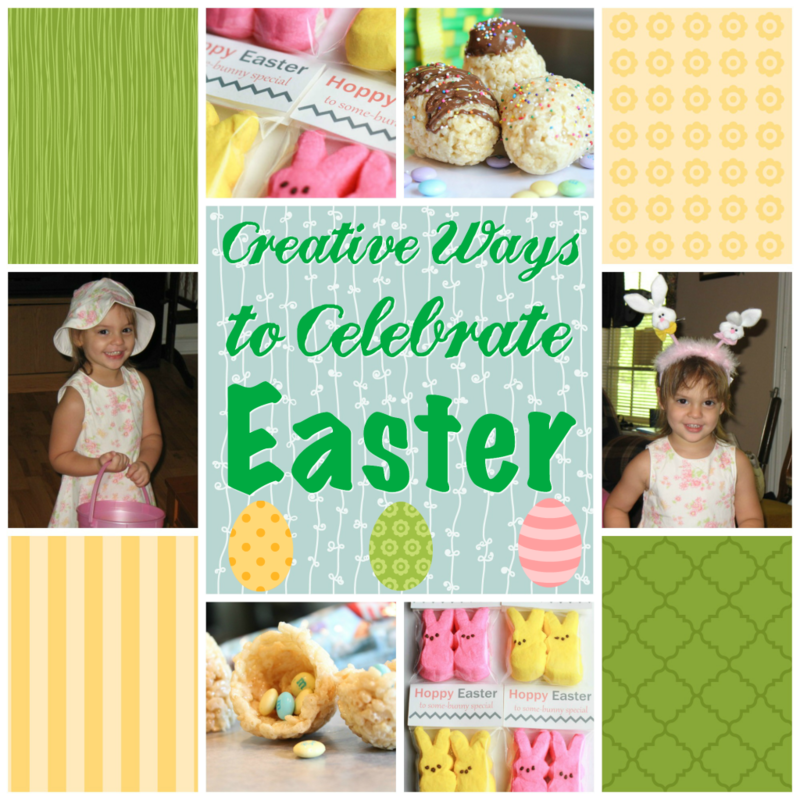 If you’re looking for ways to make this wonderful spring holiday more meaningful and fun for your children, try incorporating some of these creative ways to celebrate Easter ideas into your Easter celebrations. An Indoor Hunt: If you often celebrate Easter with your extended family where all of the children go on a big egg hunt together, consider doing a separate hunt for your kids in your home on Easter morning. One wonderful way to accomplish a unique take on the normal hunt is to make it into a scavenger hunt with clues hidden around the house. This is an especially useful idea for those of us who live in climates that might see rain or cold on Easter Sunday. Grab each of your kids a personalized Easter basket. Place the first clue inside of the basket. Then set the basket outside their bedroom door for a surprise they can wake up to. The first clue can lead to another in the living room, then another in the guest bathroom, and so on. 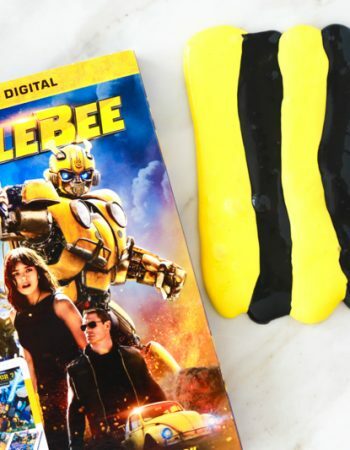 Each clue could also feature a fun treat. It will help them cultivate their detective skills, and they’ll discover their final surprise in the hiding spot of your choice. Think of it as the personal “hunt before the hunt.” It’s definitely something your kids will remember for years to come. But it’s just one of the creative ways to celebrate Easter with your children. 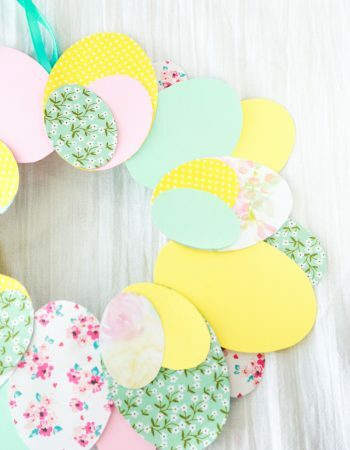 Some Easter Décor: Enlist your children’s help to decorate the house for the Easter holiday with some easy and delightful crafts. Perhaps you’ll decorate small plastic cups with bunny and duck faces for some festive drinkware. You could also have a paint party with ceramic pots. It’s the perfect time to help your kids plant seeds to harvest later in the summer. This way they can watch the plants grow over the weeks leading up to Easter Sunday. It will also teach them a wonderful lesson about care and commitment. Make some Easter friends; simply twist a pipe cleaner around your finger and affix a cotton ball for the head. Let the kids attach googly eyes and pipe cleaner ears for friendly little buddies that will decorate the Easter table perfectly. Whatever craft you come up with, it’s the quality time spent together that you and your kids will treasure most. Check out Michaels.com for an assortment of good deals on all the supplies you need — they have new coupons every week! Some Out of the Box Treats: Instead of purchasing all of your Easter candy from the store, incorporate some sweet treats into Easter cuisine crafts. Make some birds’ nests out of pretzel sticks and marshmallow fluff mixed together and shaped. Place a few egg-shaped candy pieces in the middle for a treat your kids will giggle over. Turn cupcakes into little Easter chicks by using yellow frosting and yellow-dyed coconut shavings. Use brown M&Ms for the eyes and a triangular gummy candy for the beak. So simple, yet so cute! Turn fruity pebbles and marshmallows into a new twist on Rice Krispies treats. Follow the same steps, but place the still wet mixture into an empty plastic Easter egg. Let them dry, open the egg container, and you’ll have a multicolored, egg-shaped treat that all of your family members will devour. 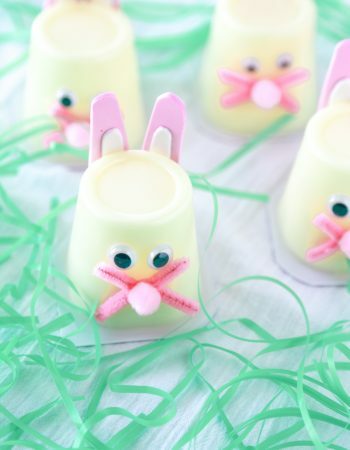 There are so many creative ways to celebrate Easter, but this is also a tasty way! A New Take on Egg Dye: You’ve likely dyed eggs with your little ones before. If you have, you know just how much of a mess and headache this project can be. Try something a little different this year. Grab multicolored tissue paper and cut it into smaller scraps. Wet each egg and allow your little one to drape the tissue paper of their choice over the eggs. Once dried, this paper will come off and leave a beautiful hue behind on the egg — no dye involved. Take Some Funny Family Photos: Plan a family afternoon and take some silly Easter photos that you’ll cherish forever. Have everyone don some bunny ears, dress your little one in this sweet as a pea chick costume from Chasing Fireflies, and put on some plastic beaks that will have your kids cackling with one look at you. This will definitely be an experience your kids will remember for a lifetime. The best part, you’ll have the memento of it to look back on. Make Easter even more memorable this year by taking part in some of these creative ways to celebrate Easter with your kids. It will definitely make for a holiday experience they will always treasure. I feel like I need to up my game. We do an egg hunt, but that’s basically it. These are all great ideas. When my son was little we always did an indoor Easter egg hunt. Love these ideas! I will have to try these with my kids for Easter! I love the idea of an indoor Easter egg hunt. The kids can look for their eggs without their Easter outfits getting dirty, and you don’t have to worry about the weather. Love all of the ideas that you have shared. We do an egg hunt but that is about it. Need to incorporate a few of this ideas this upcoming Easter. I love these ideas. 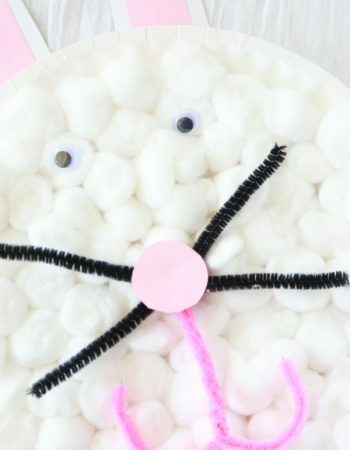 I definitely want to do some crafty easter stuff with my kids this year. We did egg hunts when the kids were very young. I miss those days. She looks super cute in her ears! These are definitely some of the best ideas I’ve seen for Easter celebrations. I especially like the rice krispies eggshells and the inside egg hunt hints. Happy events make wonderful memories. What a great Idea indeed. I should try this awesome ideas for Easter. My kids will surely be happy Because of this. These are so many great ideas! I love all the adorable treats at Easter time. The pastel colors always look so pretty! Those are some great ideas. We always host Easter for all of our family and have a big egg hunt in the yard, so fun! I like the tissue idea for egg dying, we will have to try that. Some very creative suggestions! Our favorite is to decorate eggs together as a family. We try to do it every year! I love your rice crispie egg idea! We always do an indoor hunt on Easter each year and my son loves it! I used to hold easter egg hunts when my kids were little. Now I need to be more creative. I am SO going to try making those rice krispie eggs! What an adorable idea, I’ve never seen anything like it! So many great ideas! Here in Spain, the Easter is all about Semana Santa and religious events. We don’t have egg hunts here, but I’m determined to organize one for my daughter this year! These are fun Easter ideas. I can’t believe it’s already almost that time again! These are fun ideas. We love to decorate colorful eggs as a family. How cute. I can’t wait till Easter gets a bit closer to try a few of these! We love to do an outdoor Easter egg hunt if the weather is nice! These are lovely – I can’t believe its the time of easter yet again. 🙂 Love this! 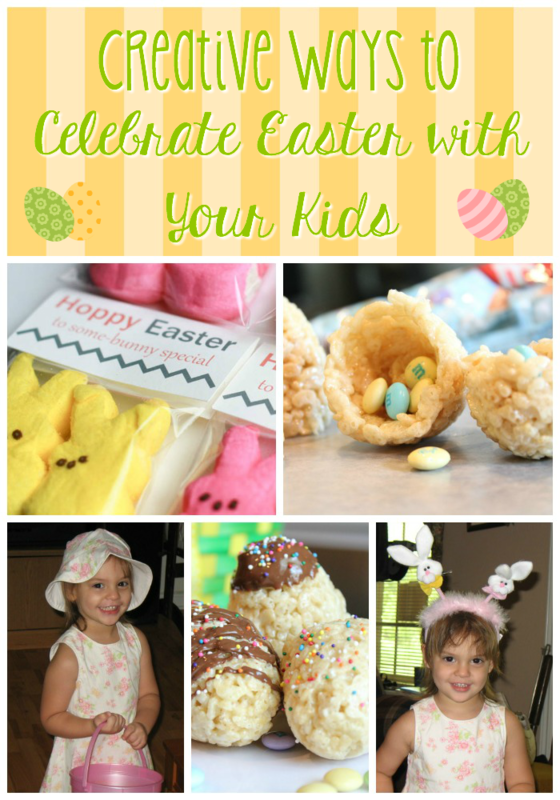 These are super fun ways for upcoming Easter! Easter was always a fun holiday! Easter means welcoming spring for us, so I am looking forward to a bit of fun in fresh sunshine. Of course, a little candy never hurts either! Ooo! I had been looking for a good way to send my hubby with Easter treats to the office. Or I suppose we shall call them spring treats 😉 Those eggs with treats inside look perfect!